Celebrate Love Everyday - Happy Valentine's Day! New Podcast - Celebrating my Podcasting Why, Waving Hello! Update on the podcast - Saying hello and celebrating my first year podcasting! Thanks for listening! Sunday Motivation and Inspiration Podcast - Love One Another! When your story is your testimony - Remembering the goodness of God and giving thanks! Insert a Praise Break! Preparation - What Comes Next? We are talking about Preparation - Will you be ready and prepared when the time comes? In this episode we are talking about the new season and how our mindset can positively or negatively impact our perspective regarding our business, family, relationships and ourselves. Tune in to hear more! A mix of encouraging words and inspirational music. 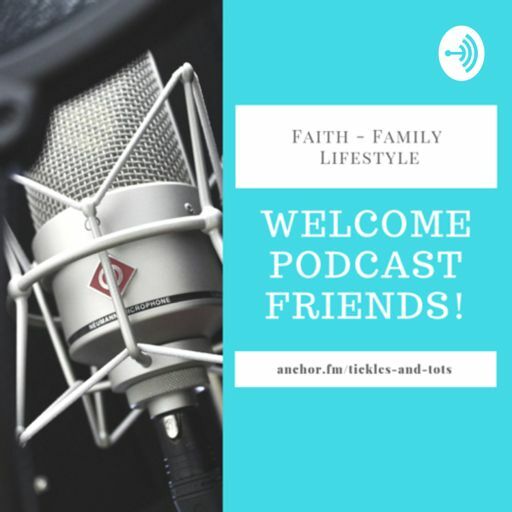 Welcome to our station - We talk about Marriage, Parenting, Relationships, Inspiration, Candid Conversations, Music and more...We hope you will tune in and listen! Inspiration for your day - Thankful for the little things. Encouragement for your soul! Love - Words of Encouragement and Motivation to help uplift you. Happy New Year - 2018 A year of Abundance and Bountiful Blessings! What are your family traditions to celebrate the new year? Fact Check - Background ✔ 1st. Guard your heart and home! Get that Background check and be sure about who you allow to enter your space! Thankfulness - What are you thankful for? Ep. 16| Commitment or Lack Of? Reflections on Podcasting - My Story! Sunday Motivation and Inspiration - God Loves You! Ep. 8| Best Podcast Plug and Play Mic. Celebrating the Milestones - We made the Top 20 Countdown ⚓🎙#18 - Anchor Tips 📣😀💕 • Thank you for the favorite • Awesome! What's for Dinner - Do you meal plan?